How about a unique variety rice other than regular variety rice like lemon rice, tomato rice, tamarind rice etc.,? Sambar powder rice / Molagu podi satham is a traditional village recipe in which we mix the sambar powder with rice and temper it. Its a very tasty food also. Try at least once and experience it. Click here to view 15+ Variety Rice Recipes. 1. Heat the oil in a pan, add mustard seeds and wait for popping. 2. Add urad dal, chana dal and curry leaves. Fry them for few seconds. 3. Then add chopped onion and fry till they become translucent. 4. Now add sambar powder and salt. Mix them well and cook for few seconds. 5. Then add cooked rice and mix them well. 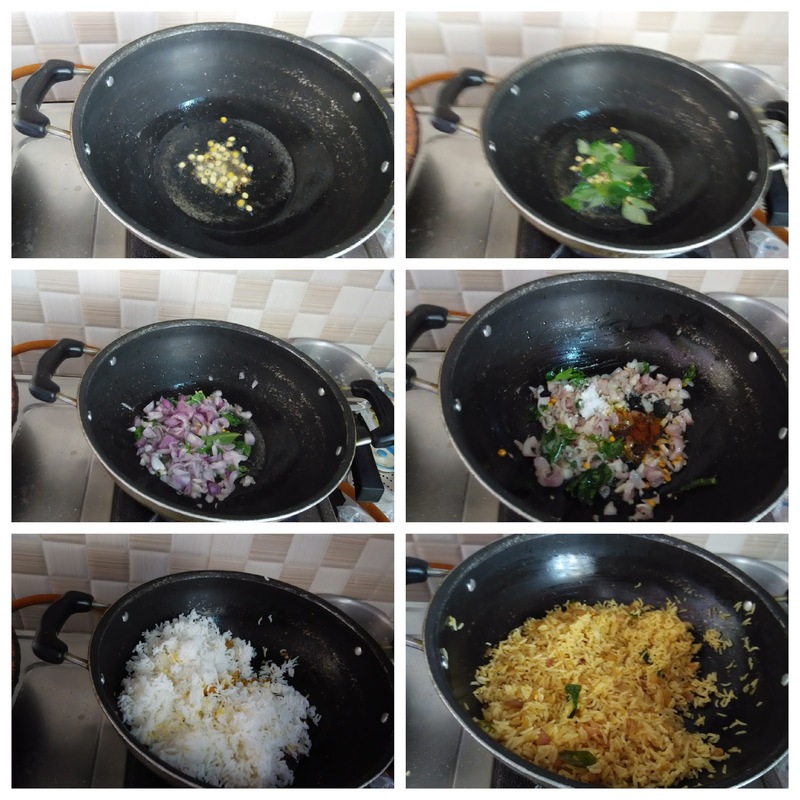 Close the lid of the pan and cook till the rice become heat up completely. 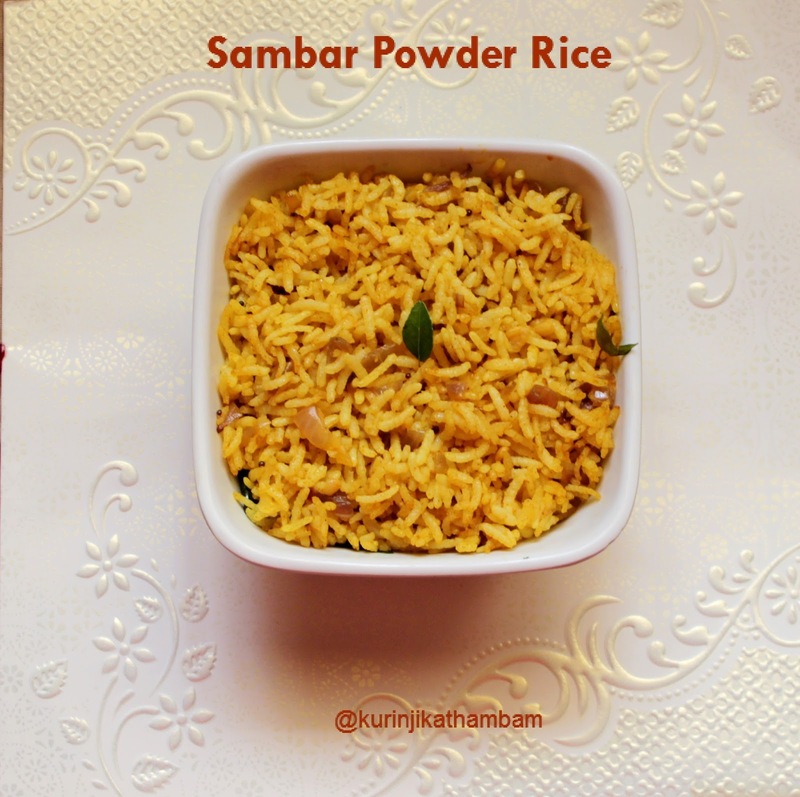 Wow quick, easy and delicious sambar powder rice is ready! 1. Adjust the samabr powder level according to your samabar powder spice level. 2. Sambar onion gives very rich taste than big onion.